Spend your energy playing the game, not building the court. In 1974, Sport Court pioneered the backyard court. 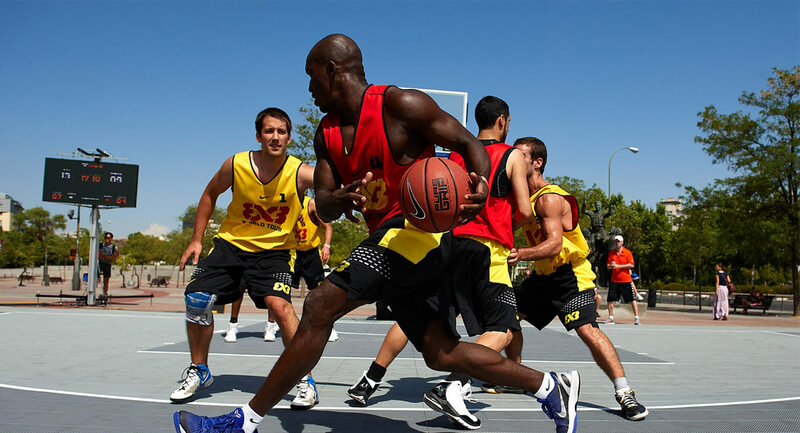 Since then, Sport Court has installed more than 50,000 courts worldwide. Sport Court KC is committed, it’s a perspective that helps us never let our guard down: to always be the best and to be the leader in the installation and servicing of modular sports flooring. That’s our character. That’s who we are. "We are very pleased with our Sport Court floors at the Boys and Girls Club. At all five of our gyms we have the Sport Court product, which has proven to be strong, durable and affordable. We are especially pleased with the new Maple Select court. It has the look and play of a real parquet wood floor." Sport Court Kansas City is ready to make your court—and your experience—the very best. We’ve been focused on one thing for 30 years: building courts that motivate champions. CourtBuilders are certified by Sport Court and ASBA. Custom design experts will help you design the court for your sports needs with your color palette. We are committed to providing customer service and project coordination from court design to installation to maintenance. Sport Court game courts are made with professional-grade materials and construction processes. Every court comes with a 15-year warranty on surfaces and components. Products are independently tested for quality and performance. © Sport Court Kansas City. All Rights Reserved.